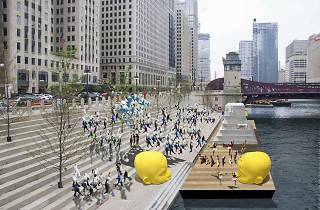 Chicago River Float is the latest iteration of a project called Floating Museum, which is the brainchild of Chicago artist Faheem Majeed, Art Institute professor Jeremiah Hulsebos-Spofford, architect Andrew Schachman and local poet Avery R. Young. Last year, the trio crowdsourced money to fund a temporary Floating Museum structure in Calumet Park, where organizers presented programming in collaboration with the Chicago Park District. This summer, the barge will travel along the Chicago River, making stops at locations such as the Resource Center, Eleanor Park, the Chicago Riverwalk and Navy Pier. According to Majeed, one of the main goals of the Floating Museum is to "engage underrepresented communities where many cultural institutions have limited success, and create content that speaks to their interests and cultures." Developed in conjunction with the DuSable Museum, the project will include content that focuses on Chicago's African American history. 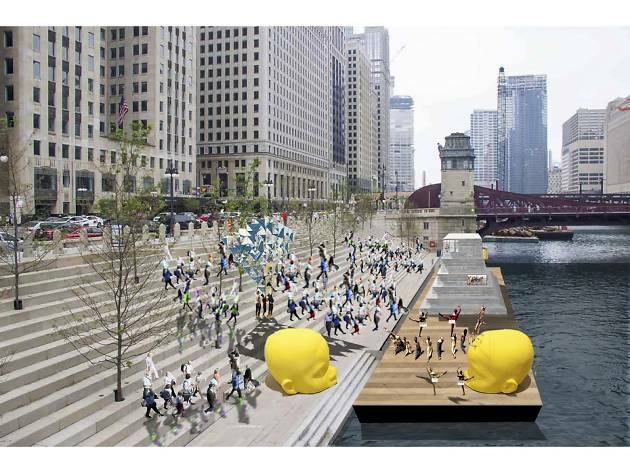 While there's no schedule in place for the Chicago River Float's stops along the river, the barge will hit the water on August 7.